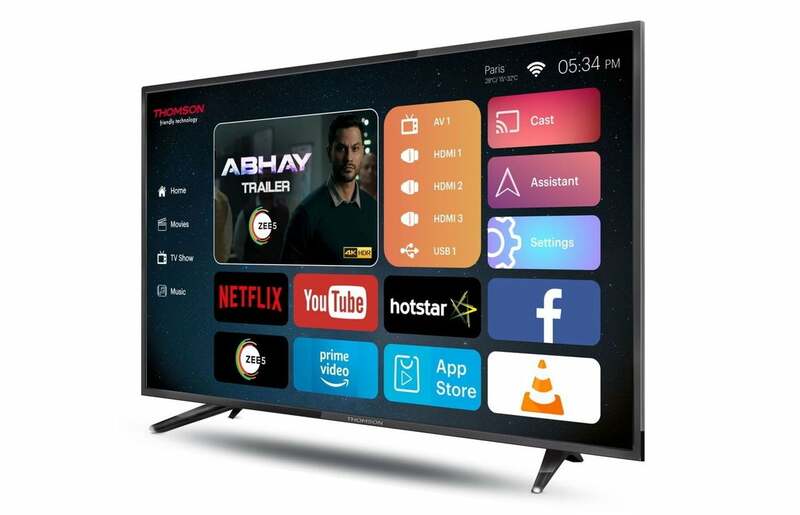 French consumer electronics brand Thomson made its return in the Indian market a year ago. Today, Thomson has launched a 40-inch 4K smart TV model no. 40TH1000 in their UD9 series. As the brand promises to offer Friendly Technology at affordable prices, this 4K Smart TV is priced at just Rs. 20,999. This 4K Smart TV will go for sale exclusively on Flipkart, starting today i.e. 16th March at 12 AM. After almost a 15-year gap, Thomson entered again in India and since then the brand has witnessed significant growth in demand from online consumers. The brand aims towards 6%-7% percent market share in India by 2020. As per research, it is estimated that the brand may potentially be able to sell 14 million TVs in India this year and among that, 65% of them will be smart TVs. The new Thomson 40TH1000 40-inch 4K Smart TV features a panel made by Samsung and it can play YouTube videos in 4K. There are essentials apps preloaded. The Thomson 40-inc 4K Smart TV is powered by Android 7.1 Nougat and it can suggest trending music, movies, and tv shows etc. There is content support for up to 18 local languages and users can enjoy content from Netflix and Amazon Prime, and also from Hotstar and Zee5. There is Easy Share cast feature, which lets users cast their favorite content from other devices. The brand offers free delivery and installation in a partnership with Flipkart, and there will be extended warranty as well. 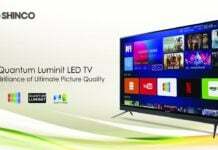 There are exciting exchange offers and EMI payment options for those who purchase this TV.